Our wide room, with conditioned air, offers up to 200 plates to break your visit of the historical area. 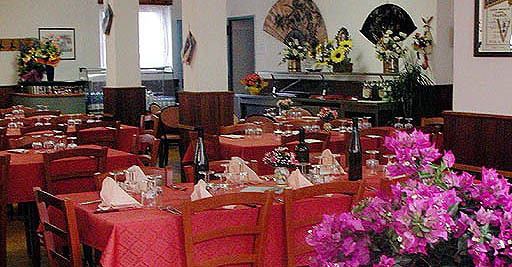 Here you'll find a good meal with meat, fish, game, tipical italian and international dishes. Of course, Groups and Companies are welcome, as well as Tour Operators. 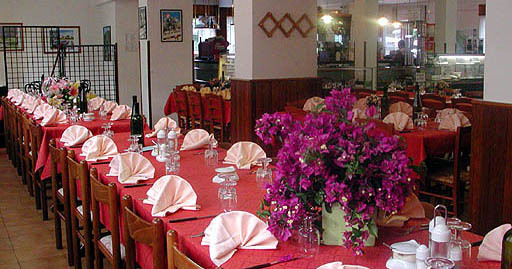 Several standard menus available, as well as personalized menus, whit different levels of price and composition. Big parking area for cars, vans and pullmans available. Contact us to get further info or offers for your needs, as well as to reserve your place!